And Here’s what you’ll find inside right now waiting for you… . How to transform your forearm into a shock absorber allowing you to throw it consistently as a pain-free pitch, without having to worry about hurting yourself. How to develop the safest breaking ball in ½ the time it takes everyone else… Plus – It’s proven to be 10x more effective. 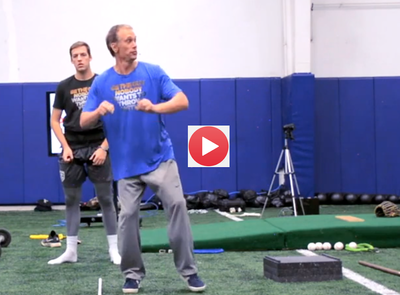 Why you should never flip, turn or twist your wrists when throwing a curveball… The secret is learning how to set the forearm up as a shock absorber. (It’s why my pro clients can throw these pitches 90 + MPH). Why 90% of curveball arm injuries occur because the was taught to throw the wrong one and how you can easily avoid this before it happens. How To Use A Plain-ole Rubber Band To Throw Filthy Breaking Pitch! Where's Your Reference Point Today?